With the threat of cold temperatures and potential big snowfall from El Nino weather patterns, snow sports enthusiasts will be reaching into their drawers for baselayers to keep them warm this season. Baselayers made from natural fibers—mostly wool—have been growing in popularity for several reasons; Their wicking properties, antimicrobial treatment to help ward off body odor and multi-sport use like skiing and riding as well as hiking and biking during the shoulder season. Synthetic baselayers are as popular as natural fibers, thanks to their breathability and moisture wicking properties. One of the biggest trends to happen to natural and synthetic fabrics is the move away from basic monochromatic colors to bright prints and interesting patterns. 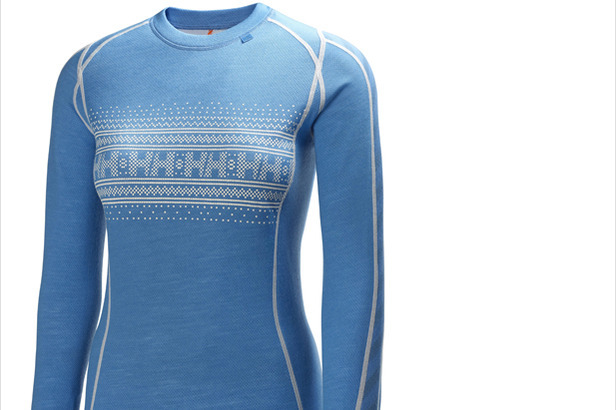 Whatever purpose you have for a baselayer, here’s a sampling of options to keep you warm and dry this winter.